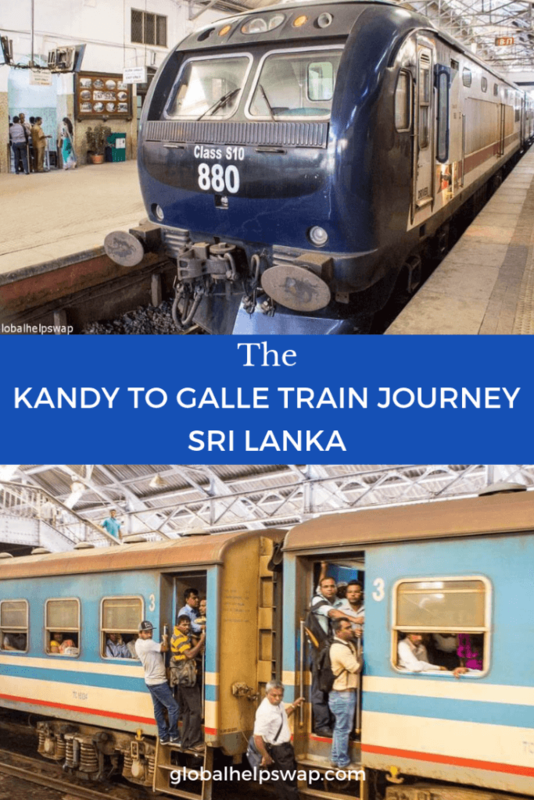 Our readers often ask us about the Kandy to Galle train journey so we thought we’d write about the two best options that will get you from Kandy to Galle on the same day. If you’re in Sri Lanka for a short time and are just doing the highlights, it does make sense to travel from Kandy to Galle. That way you can take time to discover some amazing places in southern Sri Lanka, like Galle, Mirissa and Yala. The trick is to be able to get from Kandy to Galle without having to spend a night in Colombo. Enter our Kandy to Galle Train plan. 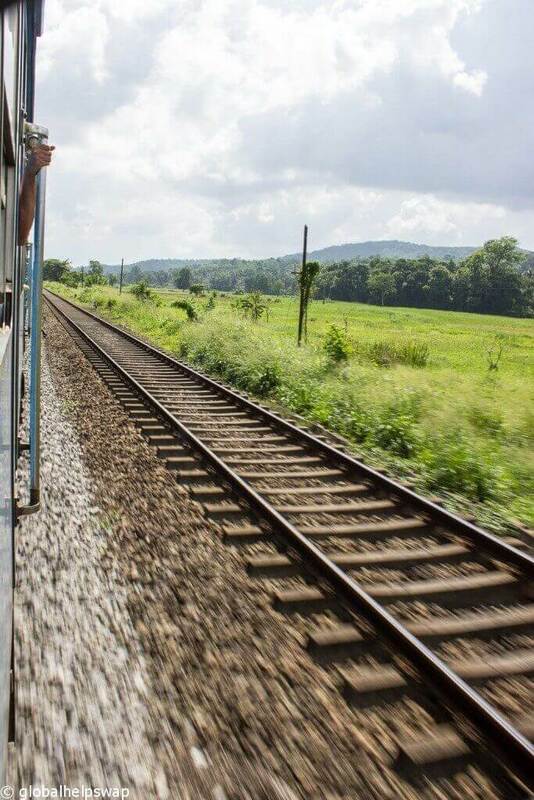 The Kandy to Galle train leaves early, and by early we mean at the eye-watering early time of 5:00 am. Although on the upside it does mean that you will be in Galle before 11am and you will get to make the most of your time in this lovely city. (Make sure to read our post on the perfect day in Galle). The Kandy to Galle train still passes through Colombo and stops there for about 15 minutes and then keeps heading towards Galle. If waking up at the crack of dawn isn’t an issue for you this is a very straightforward and comfortable way of getting into Galle. Unfortunately train tickets cannot be pre booked or bought online so you will need to buy them on the day. There is also no tourist counter at Kandy train station so you will need to queue at the general ticket counter. Train tickets do sell out so we would recommend getting there at least 20 minutes early. If you arrive in Kandy by train it would be wise to go to the ticket counter and ask how popular tickets from Kandy to Galle are during that period so you can judge how early you need to get to the station to guarantee a ticket. It’s wise to arrange transport to the station the night before as at that time of the morning you won’t find many tuk-tuks going round. It’s always wise to double check train schedules which do change from time to time. Double check the latest train times here: train schedule Kandy to Galle. At the time of writing the cost of tickets from Kandy to Galle were 400 rupees for 2nd class. You can also get a 3rd class ticket for 255 rupees but we wouldn’t recommend this option if comfort is more important than budget. The 6 hour journey can be an adventure in itself provided you get a few things right. Your first challenge will be to ensure you get a seat. While on this particular train journey it shouldn’t be too difficult (unlike our train journey from Colombo to Galle) keep in mind that there are no allocated seats and it is first come first served. So try and get on the train as quickly as you can. There is enough luggage space on the train above the seats or behind the last seats of the carriage. In this particular Kandy to Galle train there is also a guarded carriage that is used specifically for luggage. Your second challenge is to decide which side to sit on. If you sit on the left side of the train you will get a nice view on the Kandy to Colombo Journey. If you sit on the right side of the train you will get to see the beautiful Sri Lankan coast from Colombo to Galle. If you’re likely to catch up on some sleep for the first part of the journey then the choice is easy. You can check our or video for this part of the journey below. Your third challenge is to keep yourself hydrated and fed during this journey. There will be some sellers on the train selling spicy snacks, fruit and drinks but it is wise to have some extra food with you. One word of warning, when you do stop in Colombo try not to leave the train if you are travelling on your own. Placing a piece of clothing on the seat to show it is taken does not really work and you are likely to find that while your piece of clothing hasn’t been stolen, your seat will have. If the thought of waking up before dawn in not your idea of fun fret not. We’ve got a second option that will get you from Kandy to Galle in a day, but it will require a change of trains and you will get to Galle in the evening. So if you’d like an extra few hours in bed you can catch the Express Train to Maradana at 10.30. This gets you into Maradana at 13.54. You will need to change trains and buy a ticket to Galle. The train to Galle departs at 15:40 and arrives in Galle at 17.34. As you can see this option will mean that you have to wait around in the station for an hour and 40 minutes and it does use up a whole day travelling. 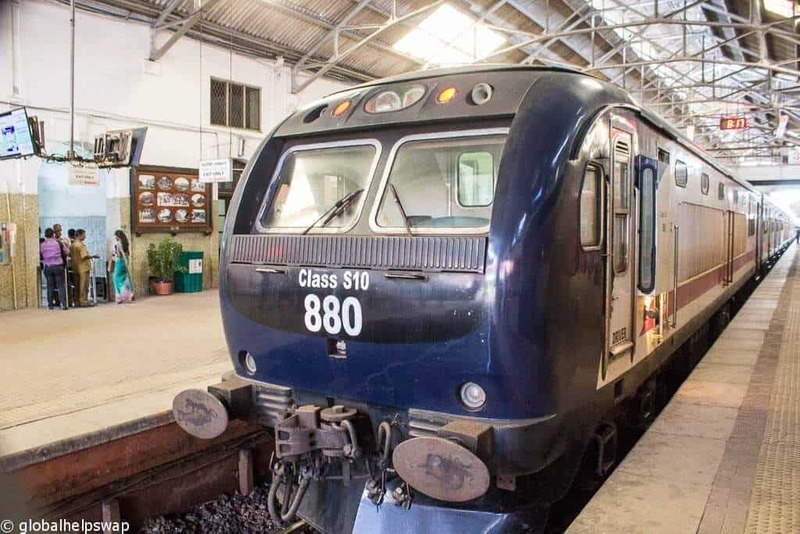 The reason we recommend changing in Maradana and not Colombo Fort is because trains generally start from Maradana and not Colombo Fort on their way to Galle. 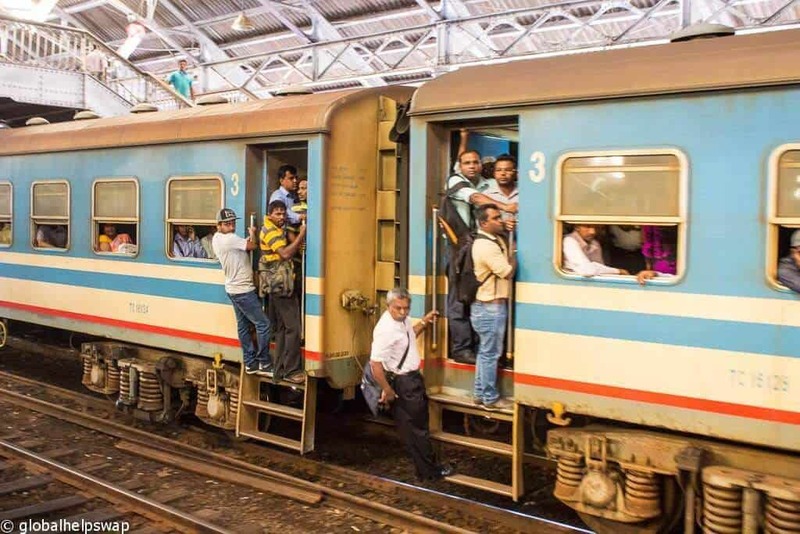 Since seats are not reserved you are much more likely to get a seat from Maradana station as by the time the train gets to Colombo Fort it’s already likely to be full. Having said this, it will still be a scramble to get a seat in Maradana. The normally polite and gentle Sri Lankans turn very competitive when it comes to grabbing a seat. Total cost of getting from Kandy to Galle: 370 rupees (slightly cheaper than the direct option). 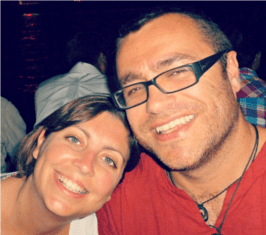 If you’re staying overnight in Galle here are some recommendations of where to say. You can find out more detail in our post on the top 10 hotels in Galle. How did you purchased ticket for train? As far as I knew, no online booking can be made in advance for Sri lanka train. We went to the train station.